This product is no longer available. 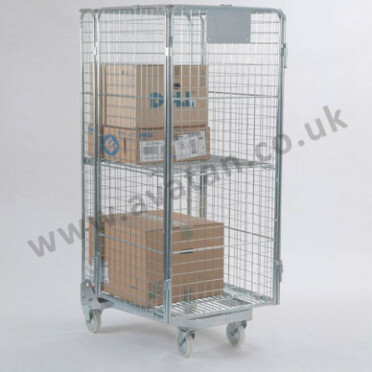 We are always looking for good stocks of second hand storage products. 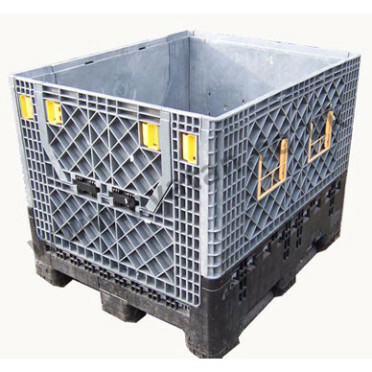 Do contact the office is you are disposing of redundant stillages and storage equipment. 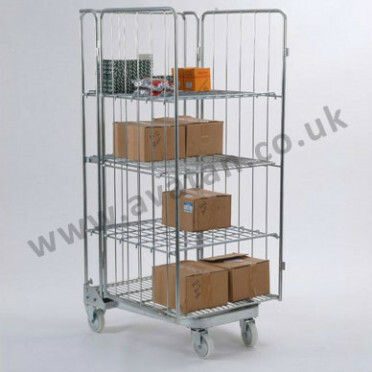 Fully demountable collapsible post pallet with well braced open steel deck and four removable posts. 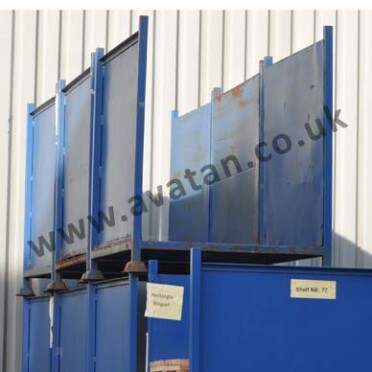 Well braced stillage base ideal for rolled carpet or extruded materials storage. Large quantity available. 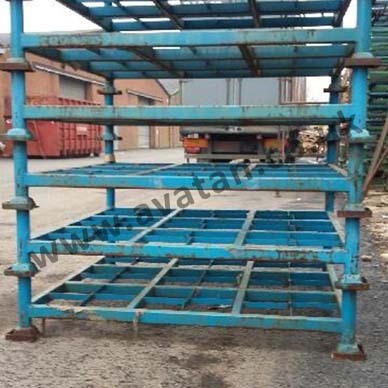 In good, solid, sound stacking used condition. Excellent value. Stocks have now been sold and this product is not currently available.